Is it natural for men and women in their 30’s to experience hair loss? Fortunately, there are many hair loss treatments out there that you can choose from. Consult your trichologist immediately if you are facing signs that may lead to hair loss problem. Even as you cross the age of 30, you’ll probably hear more and more of your friends and family members talk about the hair loss treatments they’ve been trying out. If you haven’t noticed any of the major scary symptoms of thinning hair and a receding hairline, you’re one of the lucky few. However, when you start to notice more and more hair strands on your shower floor or towel, you might want to take a few steps to prevent rapid hair loss – while it is still in its initial stages. If You Don’t Have Any Symptoms, Should You Be Concerned? Actually, yes! Take a look at these statistics. 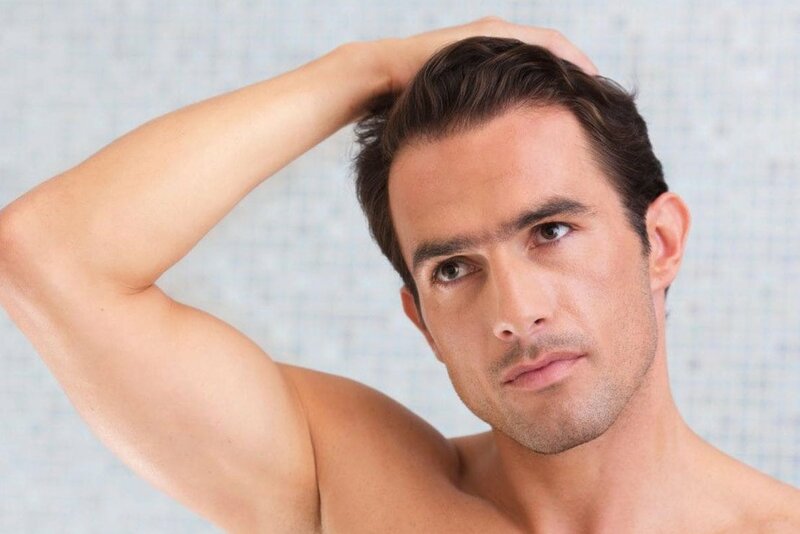 Close to 40% of men start to have noticeable hair loss by the age of 35. As for women, 40% find that their hair is thinning and they have shorter hair than before. Typically, men and women have different hair loss patterns. Men may notice gradual receding temple hair and a spreading bare patch on the crown. Women seem to develop fewer hairs all over the scalp. And, their hair loss is also connected to fluctuating hormones among other factors. It will also interest you to know that if you can start your hair loss treatments in the initial stages of hair loss before any significant damage, you’ll have a better chance of protecting yourself from more widespread hair issues. Here are a few hair loss treatments you could try. One of the best hair loss treatments is natural and safe. Take a close look at your diet. Are you eating enough protein-rich foods? Make sure you include soy products, eggs, lean meat, oats, whole grains, and dairy products. These foods also have high amounts of Biotin, a kind of vitamin B7 that is great for your hair. Soy is especially good for you as are fruits and vegetables that are also rich in antioxidants. Even if you intend to go on a diet, you can safely eat these foods. Remember, crash diets are the worst thing you can do for your hair. Here’s another tip. Under the direction of your doctor, take zinc and vitamin D supplements. About 60,000 IU (international units) at regular intervals should suffice. Your trichologist can give you corticosteroid injections in the scalp. The steroids have the effect of stimulating the growth of hair follicles in the balding areas. You’ll probably need these hair loss treatments once a month for effective prevention of alopecia areata, a genetic hair loss condition. Rogaine is the brand name for the compound, Minoxidil. FDA-approved, the products are available at your local drugstore without the need for a prescription. Buy it in foam or lotion form and apply it on the scalp following the directions carefully. Minoxidil works to provide nutrition to hair follicles by promoting blood circulation. Although the product does not stop hair loss, by using this treatment you can strengthen the follicles before you develop severe hair loss. Also approved by the FDA, Finasteride is available under the brand name of Propecia. It’s not suitable for pregnant women because of the many side effects, but men can take 1mg tablets to help promote the growth of hair. This hair loss treatment is especially helpful if your thinning hair is caused by genetic factors. However, it is effective only as long as you continue taking the medication, much like Rogaine applications. Adipose stem cells are sourced from fat cells that doctors discard after extracting during liposuction and other fat removal techniques. In recent times, doctors have found that by injecting these stem cells into the scalp, they can improve the growth of hair. 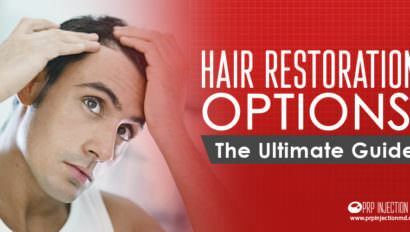 Getting this hair restoration procedure is easy and you won’t have to go through any downtime or take time off work. Consult a certified medical practitioner who can conduct the procedure on you. During hair transplants, your doctor will harvest thin strips of scalp from the hair dense areas and attach them into the balding sections. Typically, they may extract the donor strip from the lower or back of the head. If you can get this procedure done while you have most of your hair, you might find that the sutures are less visible and fade away quickly. Here’s another hair loss treatment that is highly effective for both smaller and larger balding patches, the Follicular Unit Extraction (FUE) procedure. Your doctor will harvest individual hair follicles from the areas where the hair is denser. Later, the follicles are transplanted in the bare sections so that they can take root. The process works very well because the follicles are extracted from the areas that are more resistant to the genetic factors that lead to hair loss, namely, the sides of the scalp. If you can work with an experienced practitioner, you’ll soon see better coverage of the hair. Platelet Rich Plasma (PRP) therapy is an upcoming hair loss treatment. Doctors harvest a sample of your blood and spin it in a centrifugation device. The spinning motion causes the blood to separate into different components, one of which is the PRP serum. This serum is injected back 1 mm into the scalp. The growth factors, mesenchymal stem cells, cytokines, and other healing elements nourish the follicles so that they grow stronger. The platelets can help in the formation of new blood vessels so that the scalp is rejuvenated. PRP can help you stop hair loss and also promote the growth of new hair. Low level laser light therapy uses light at specific wavelengths to promote blood circulation in the scalp. The boost in blood brings fresh oxygen and nutrients to the scalp that work to nourish it at the follicular level. If you can get light therapy by way of a comb or a helmet that you can place on your head, you’ll find that the therapy can promote the growth of new hair and also give you a thicker texture. While you can buy the hand-held devices and use them in the comfort of your home, it is always advisable to get the therapy under the supervision of an expert therapist. Balding, hair loss, and thinning hair are all issues that are more common than you think. Instead of waiting until you start to lose your hair at a rapid pace, it is advisable that you take steps as soon as you suspect you might have a problem. Choose from the many hair loss treatments out there after consulting your doctor and tackle the problem before it becomes too big. A certified trichologist can advise you best on the ideal solution for your hair loss problems.